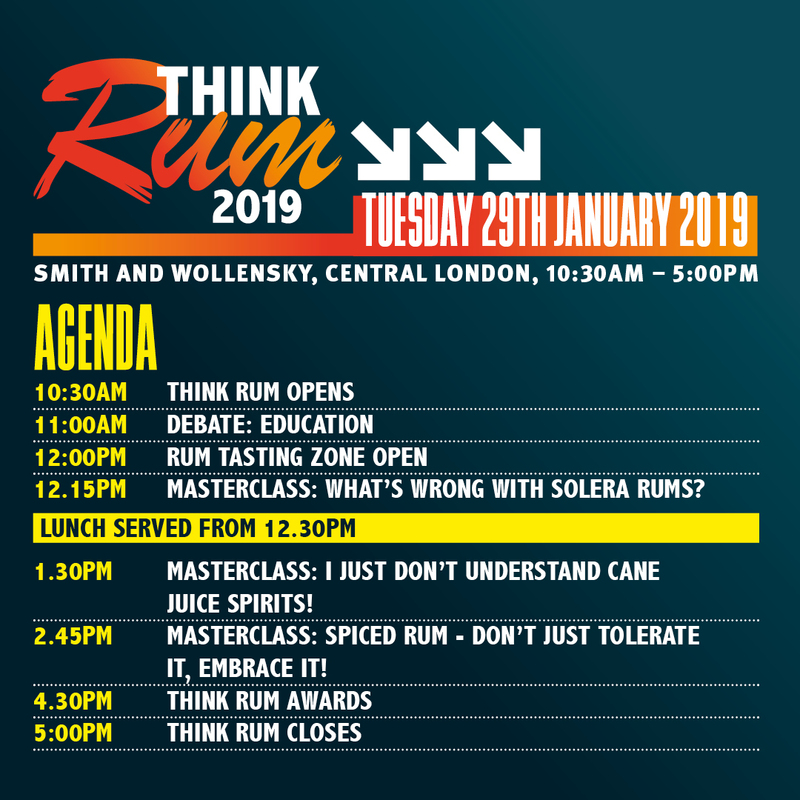 Think Rum 2019 has revealed further details of the three rum masterclasses, which will take place throughout the day. Those attending the event, which takes place on January 29 at Smith & Wollensky in Central London, will have the chance to sign up for three separate masterclasses. Visitors to Think Rum 2019 will also have the chance to listen to a debate on the rum category in both the on and off-trade sectors. The debate will delve into the challenges rum faces in spreading the word about its diversity and its craft credentials, and how it might overcome them in order to preserve its future health and stimulate further growth in the UK spirits industry. The audience can watch the debate live from 11am with the panellists comprising a raft of rum and spirits experts from the on and off-trade. Panellists for 2019 include: Peter Holland, Think Rum 2019 Ambassador and manager of The Floating Rum Shack; Martin Green, editor of Drinks Retailing News; Andrew Catchpole, editor of Harper's Wine & Spirit; Nicholas King - WSET spirits educator; Nick Bell, spirits buyer, Harvey Nichols; Sly Augustin, owner of Trailer Happiness; John Vine, spirits buyer at Waitrose; and Imie Augier, general manager, Merchant House. Throughout the day, delegates can also sample rums in the Rum Tasting Zone with examples on display from Barbados, South America, Papua New Guinea, Australia, Jamaica, Trinidad, Philippines, France and Madeira. The event will conclude with the Think Rum Awards from 4.30pm to 5pm.